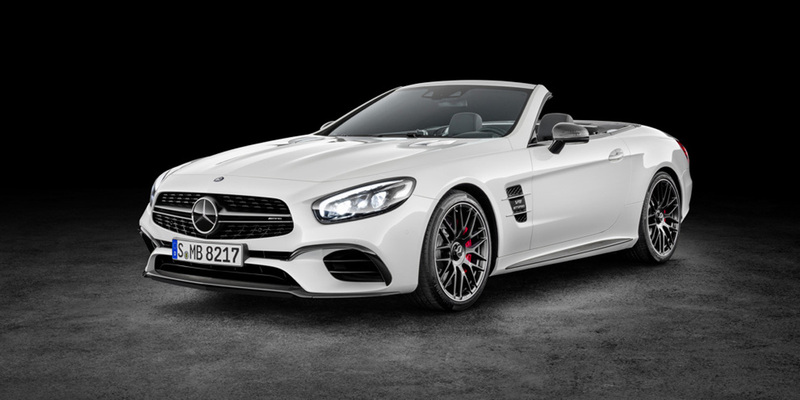 CG Says: The Mercedes-Benz SL is freshened for 2017 with revised styling inside and out. The retractable top can now be operated at speeds up to 25 mph. There is also more power. The SL450’s turbocharged V6 gains 34 horsepower for a total of 362. 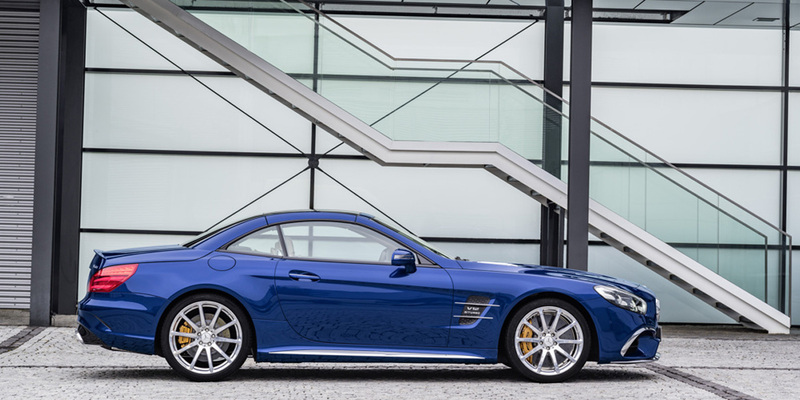 The AMG SL63’s turbocharged V8 develops 577 horsepower—20 more than last year. The horsepower of the topline AMG SL65’s turbocharged 6.0-liter V12 remains 621. The AMG models retain their 7-speed automatic transmissions, while the SL450 and SL550 now have 9-speed automatics. From Hollywood to Wall Street, the SL is a vehicle for those who have made it and want to show it. The SL is larger than the Mercedes-Benz SLK-Class. SL has a power-retractable hard top. Its rivals include the BMW 6-Series, Jaguar F-Type, and Porsche 911. As ever, the SL-Class is stylish, amazingly finished, and enjoyable to drive. A few highlights of its many technological features are the “Magic Sky Control” adjustable-tint fixed sunroof, “Airscarf” neck-level heater, and sophisticated “Active Body Control” adjustable suspension. SL’s prices are formidable, but they reflect a genuine premium luxury character; this is one of the most regal two-seat roadsters available.